Credit: Excerpt from "Sorry", by Tina Reynolds. Courtesy of: Chelsea Miller. 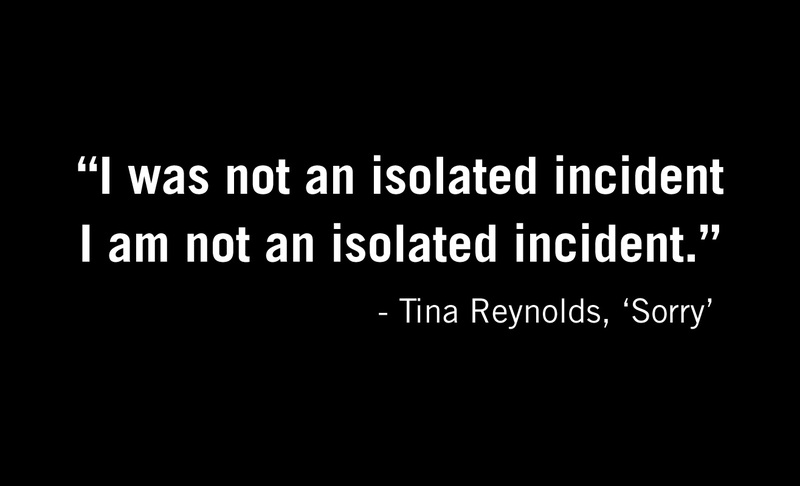 This excerpt of Tina Reynolds' poem reveals some of the emotional impacts of incarceration on one woman of color. In “Sorry,” the author recounts the painful process of rediscovering her identity and self-worth, and realizing that her experience in prison is not isolated – that mass incarceration is not a result of individual actions, but of systemic issues in society.